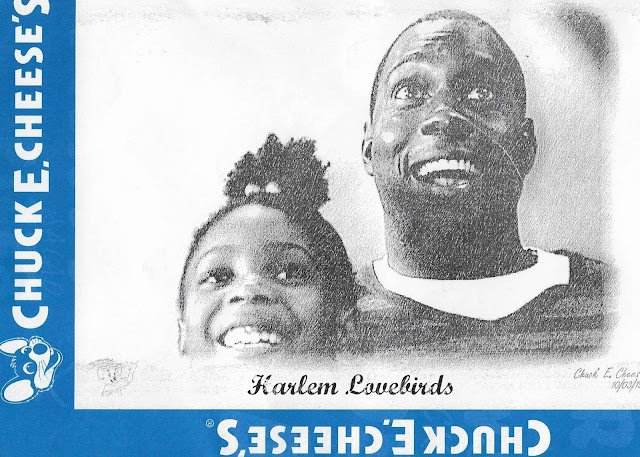 Disclosure: I received a Chuck E. Cheese's gift card to facilitate this review; all opinions expressed are my own. 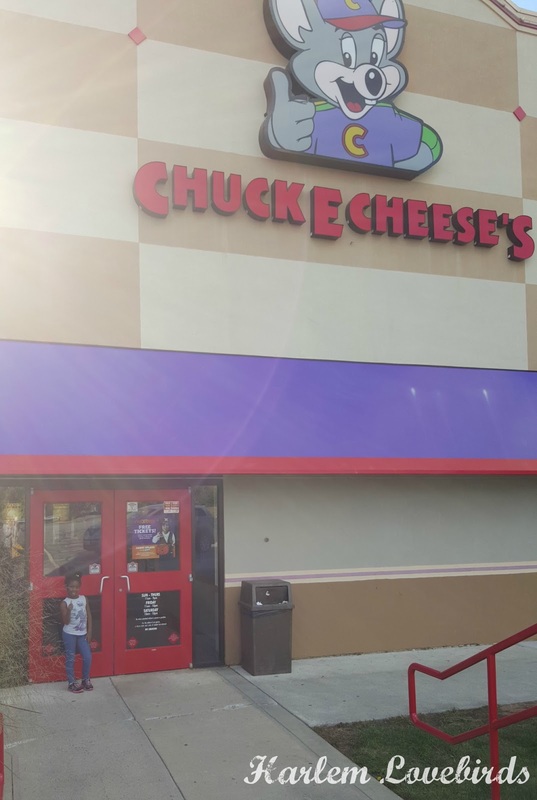 Now that we're walking distance to Nia's school this year one of the traditions we were used to last year no longer happens: passing our local Chuck E. Cheese's on our daily commute (we're literally within 5 minutes of it!). Nia's only been to Chuck E. Cheese's as a baby when we went with her older cousins but somehow, perhaps through kiddie osmosis, she knows what it is and would ask to go nearly everyday on our drive to school. She seemed to have forgotten about it this year, but when I was invited for a family fun outing to Chuck E. Cheese's I thought it would be a fun surprise. We invited one of her good friends and I marked the date on my calendar. I knew I couldn't tell her in advance (similar to Disney World!) because she would ask constantly if we were going. 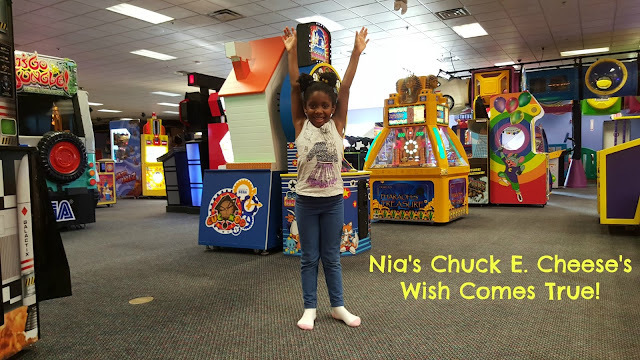 As the date approached something very fortunate for her happened: Nia got invited to her first birthday party at Chuck E. Cheese's just a few days before our surprise visit. She was SO excited and I was curious to get a preview for our visit since it had been years since we visited. 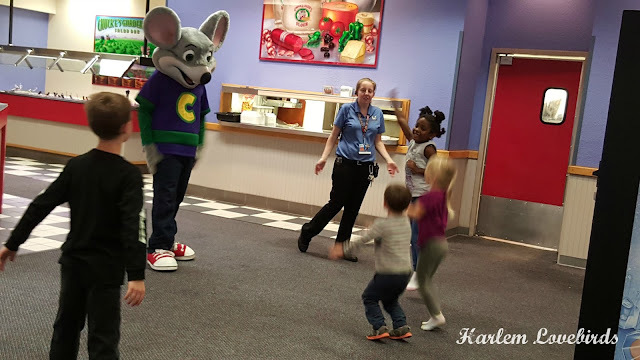 It was a busy Saturday and while Grayson was asleep at the beginning he popped up and began running around screaming with excitement - he's definitely a fan of Chuck E. Cheese's and had no fear of the mouse! 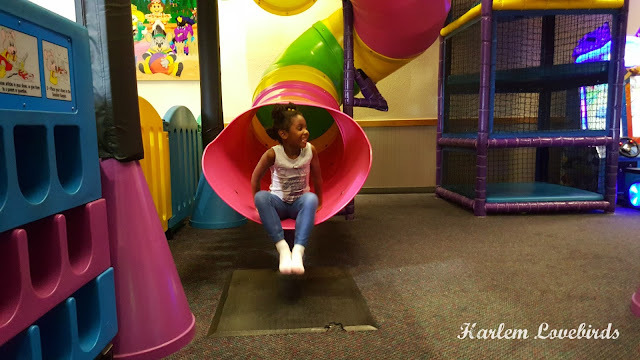 A few days later it was time for our surprise visit and when I shared the big news she exclaimed: "I get to go to Chuck E. Cheese's AGAIN?!" I know, what luck, right? It was a weekday after school and she had the entire place to herself until her friend arrived and a few more kids later. Grayson stayed at home (he was sadly running a fever), but it was a great chance for me and Nia to have some playtime. 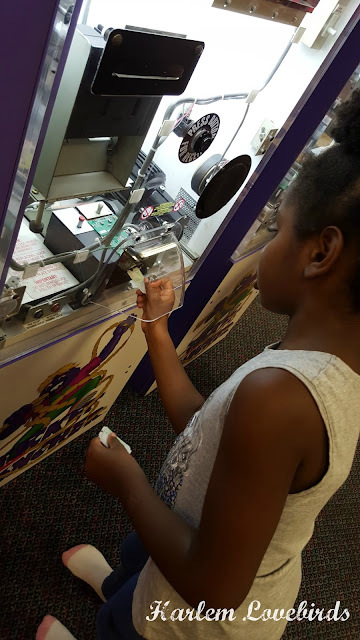 Nia was most excited about the Sky Tubes (I wrongly called them "the tunnels" but was corrected) and while she played a few games, we have a bunch of tokens left over for next time. I don't remember a ticket muncher as a kid! 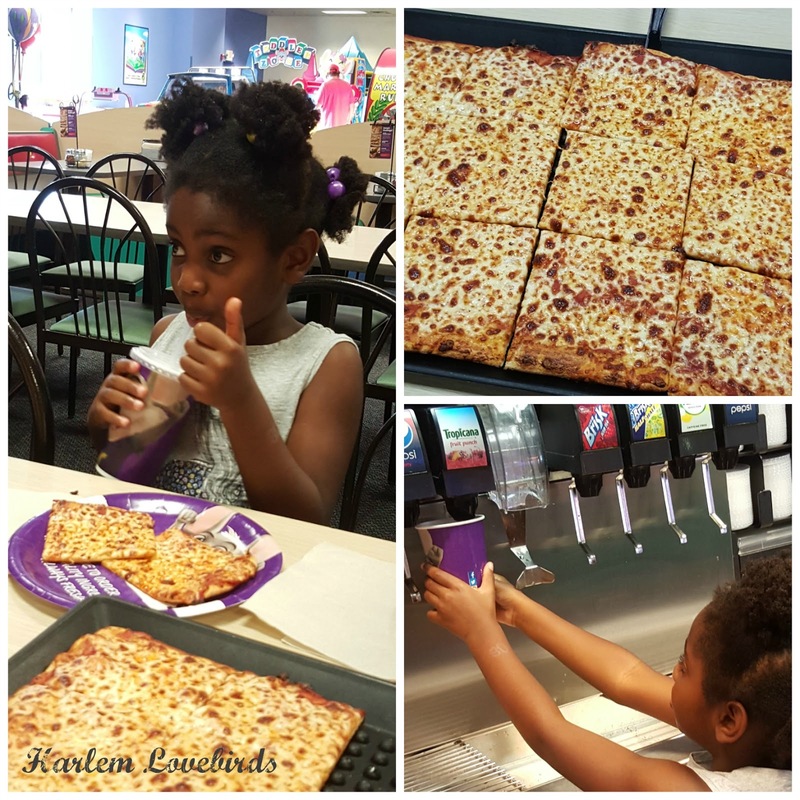 Our gift card included their new Thin and Crispy Pizza and drinks so Nia and her little buddy picked plain cheese and I may have had more than my fair share - it really is good pizza! 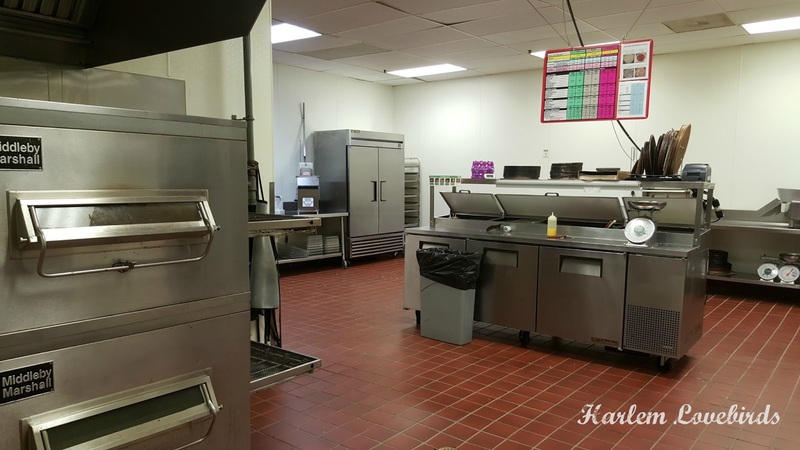 I got a tour of the kitchen and found out why: Chuck E. Cheese's has a new recipe that even beat out Pizza Hut's in a recent nationwide taste test. 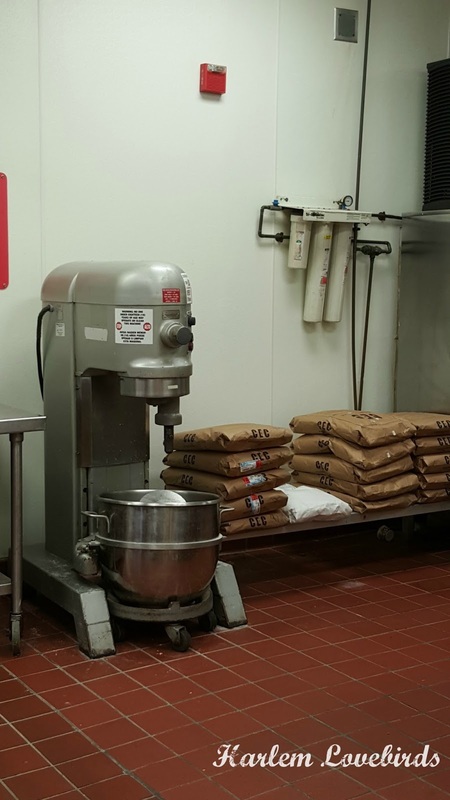 And the most surprising part is that it's made fresh right on site! And I thought it was a challenge making pizza dough in my KitchenAid! Kaitlin, the manager, took our order, made it herself and brought it out for us. It was a quiet day, but typically they bring in cooks to make dough over the period of a few days. Since we're avid homemade pizza lovers, our pizza standard is set pretty high and it turns out the crust, herbs and sauce really did taste homemade and was delicious! If you want the Thin and Crispy Pizza you have to ask for it by name as they still have their regular pizza which we experienced the previous weekend at the birthday party. The Thin and Crispy Pizza was definitely my favorite and a serious upgrade from the Chuck E. Cheese's pizza I remember as a kid! If you'd like to give it a try with your kids #Chucktober is definitely the month to go and dress your child in their Halloween costume too so you can get 50 free tokens! I highly recommend going on a weekday if you can. Thank you Chuck E. Cheese's for a fun play date and for a bonus goody bag for Nia since she only won 7 tickets during her visit - those games can be tough! 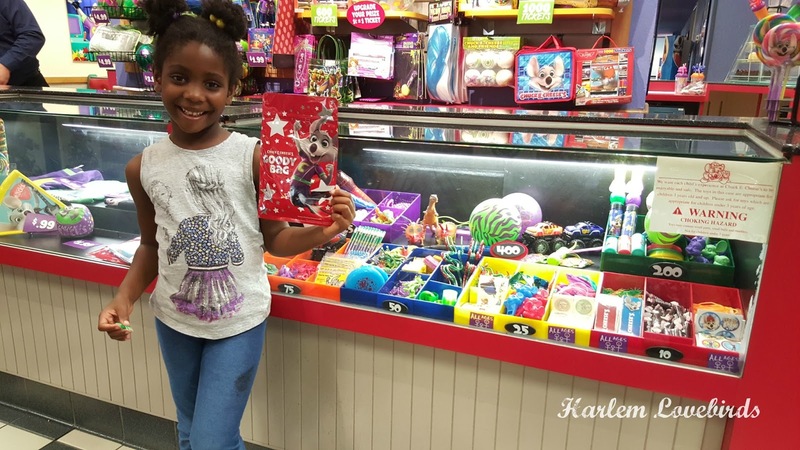 Be sure to visit Chuck E. Cheese's website and follow on Facebook and Twitter for the latest promotions. Have you taken your kids to Chuck E. Cheese's before? 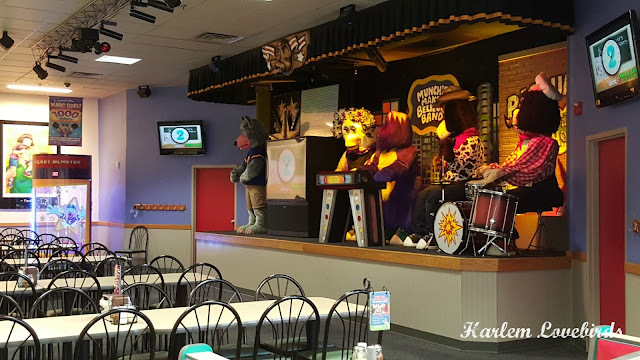 What are your childhood Chuck E. Cheese's memories?